CHICAGO and TORONTO - March 18, 2014 - At a loss for how to begin your remodeling project? Do BTU’s have you singing the blues? With so many decisions to be made, and so many unknowns, planning a remodeling project or addition can often feel overwhelming—but it doesn’t have to. WarmlyYours Radiant Heating, a leading innovator of technology for the radiant heating market, offers a better solution. WarmlyYours' new, interactive heat loss calculator helps homeowners and trade professionals gain a better understanding of their project’s heating needs and makes planning easier. This exciting new tool allows trade pros, designers and homeowners to instantly calculate heat loss information and obtain customized recommendations to meet the specific heating requirements of each project. Ramie Blatt, senior software developer at WarmlyYours, led the project to develop a new heat loss calculator. “It’s a fun tool to play with. 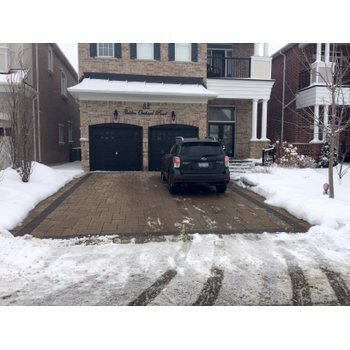 It produces a report that is useful to homeowners planning a renovation, room addition or new construction project, especially if they are considering adding in-floor heating,” said Blatt. The WarmlyYours Heat Loss Calculator allows users to calculate detailed heat loss information for each room. They are prompted to enter details about their project, including the location, room characteristics, what’s under the floor (subfloor type and insulation), ceiling height and insulation, and optional details about features, such as skylights, exterior walls, windows and doors, that impact heat loss. The heat loss calculator generates a report including a breakdown of heat loss by source, heat loss vs. maximum floor heat supply, and projected indoor and outdoor temperatures throughout the year based on climate data for the homeowner’s location. 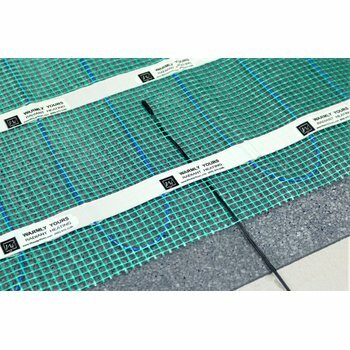 It provides recommendations for the type of WarmlyYours system, amount of coverage, insulation and underlayment needed to optimize performance of the floor heating system as the primary or supplemental heat source. The calculator also supplies operating costs based on climate data and residential electricity rates for the customer’s location. 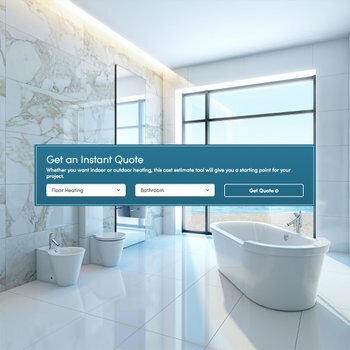 The interactive graphs and the seamless integration with the WarmlyYours Instant Quote (IQ) Tool or Project Planner tool make the calculator very user-friendly, enabling professionals and homeowners to easily use the report data in designing their radiant floor heating installations. “The new heat loss calculator was developed from a long-standing desire to integrate all of our online tools into a seamless system. The old tool was a stand-alone system using old technology and separate servers,” explained Blatt. The new heat loss calculator is an improvement over other tools on the market and WarmlyYours’ previous calculator in that it gives homeowners a more holistic view of how their rooms behave throughout the year, as opposed to simply relying on performance data for the coldest day of the year. This provides a richer visualization of the heat loss year round, using actual room, project and WarmlyYours product information—as opposed to a vague estimate of expected performance. Having all this information readily available makes it easier for trade pros and designers to quote projects and explain the details to their clients. For homeowners, the WarmlyYours Heat Loss Calculator takes the fear out of home renovation, making it easy for them to understand what they need, so they can jump right in and start planning their projects. “With this new tool, WarmlyYours has created an industry-leading, state-of-the-art calculator as part of our integrated smart suite of tools and services designed to meet the needs of a wide range of customers,” explained Blatt. Check out the new heat loss calculator and other WarmlyYours smart tools for free at www.warmlyyours.com/tools or call (800) 875-5285 to learn more.